My previous apartment was a quite big one unlike my tiny (but big in Helsinki standards) studio apartment. At some point, my roommate was my classmate Anja. We threw quite many big parties at our apartment when we lived together. And we also went to many picnics together. She would often bake this one bread roll with herbs for these occasions and we all loved it. 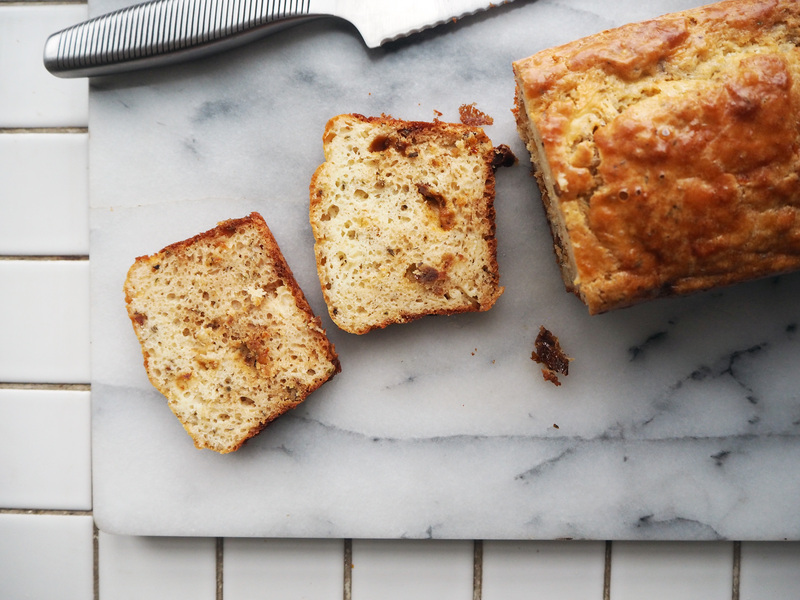 This savoury cake is the cakey version of this bread – similar at least, with a few changes from me. 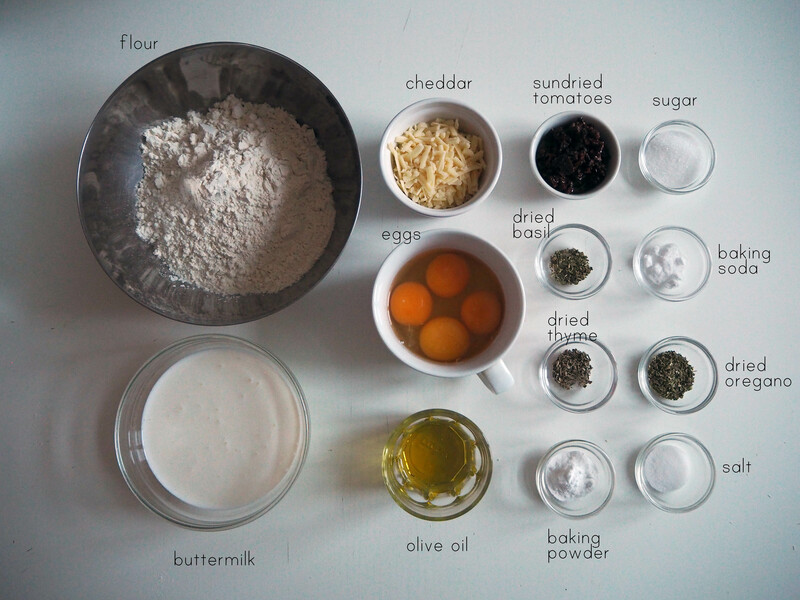 Savoury cakes – I just can’t live without them. Seriously, they always taste good with good combinations of ingredients and they are very easy to make and carry around. It’s like sandwich in a cake form. 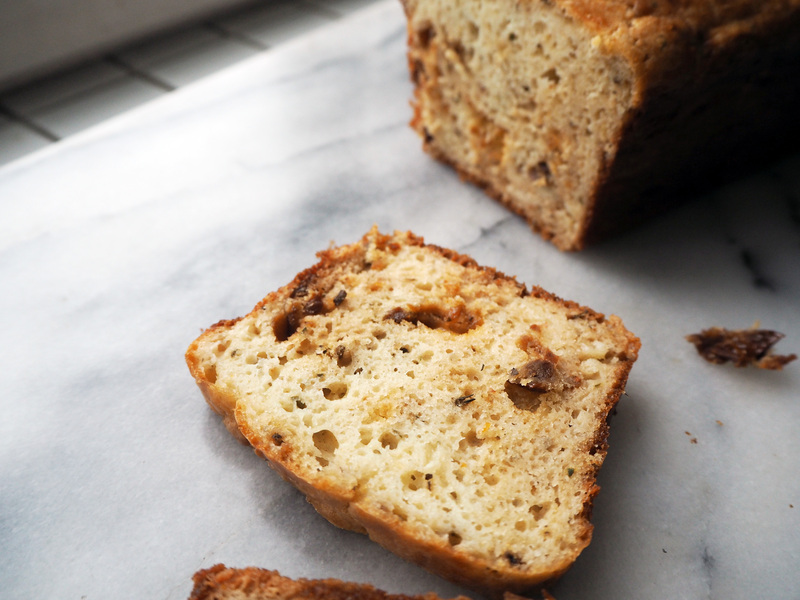 This particular savoury cake has a very Mediterranean feel to it, with all the herbs and such. After I made it for this blogpost, I once again made it for another occasion and I added some olives too this time. The result was even more amazing, so I highly recommend this addition. 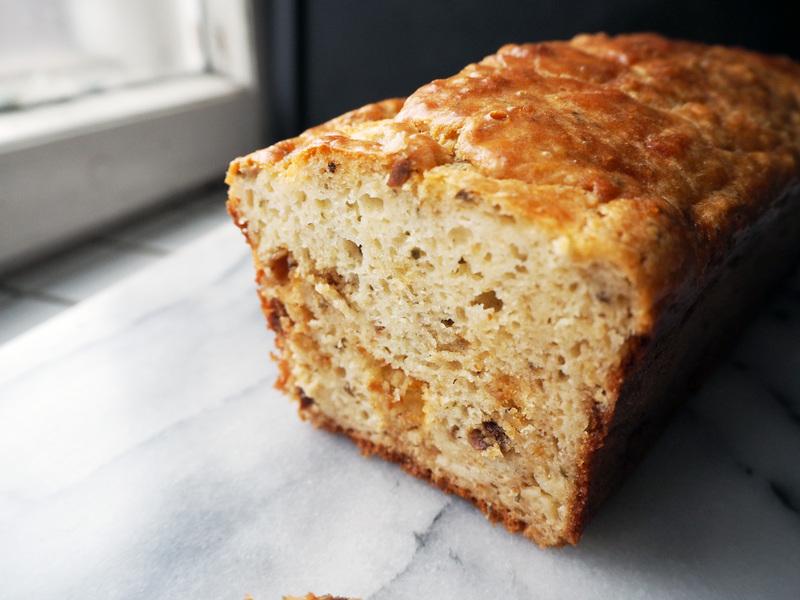 I’m still very tired from multiple caterings I did over the weekend and at the beginning of this week so I guess today, for this recipe, I won’t be able to write more than telling again that it tastes delicious! 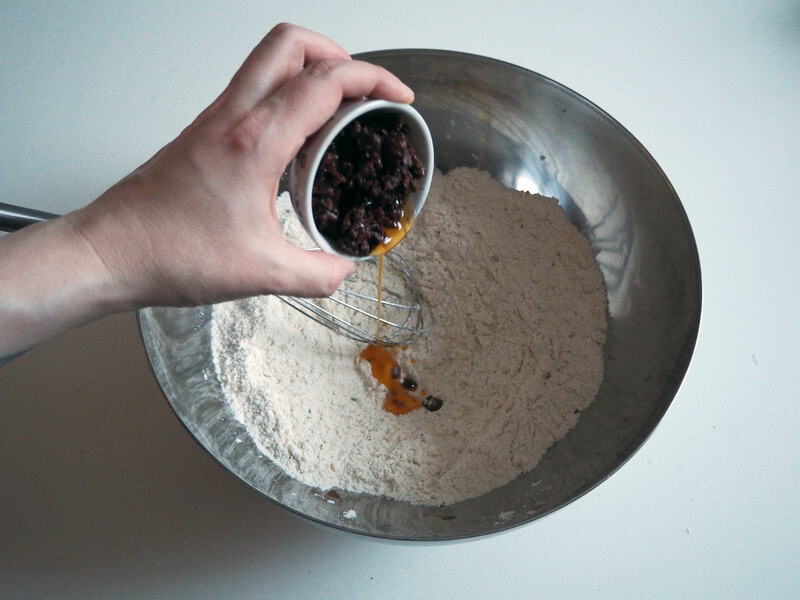 Now off to the recipe – enjoy! 1. Preheat the oven to 180C. 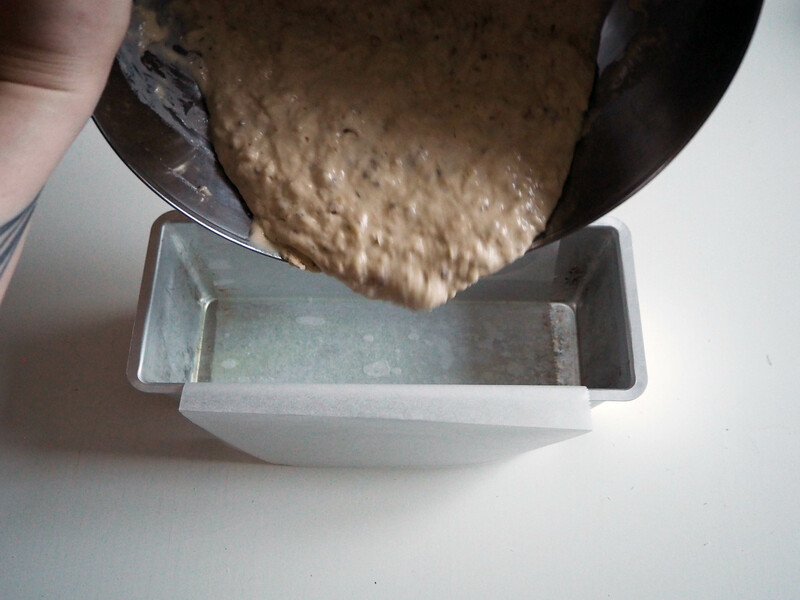 Grease your loaf pan and put a baking paper at the bottom (I also cover two large sides to make it easy for the cake to come out). 2. 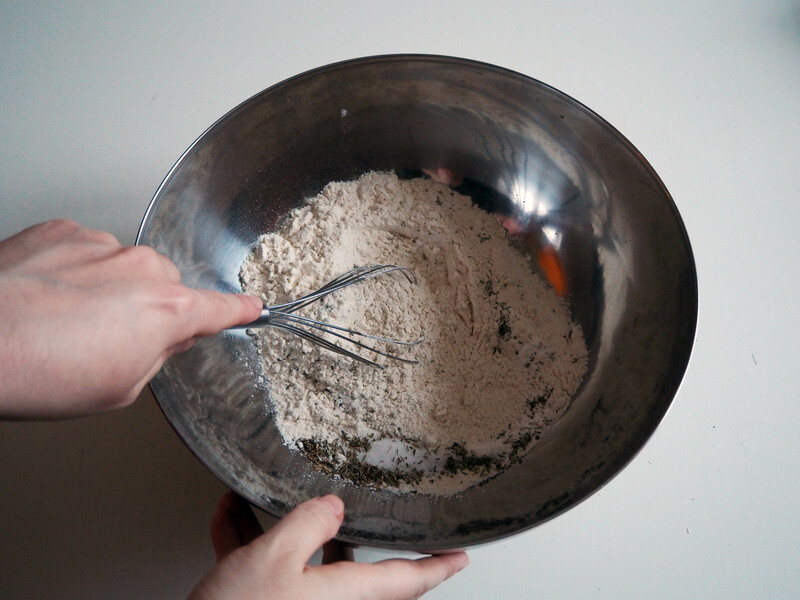 In a big mixing bowl, put the dry ingredients (in the ingredients list, starting with flour and ending with basil). 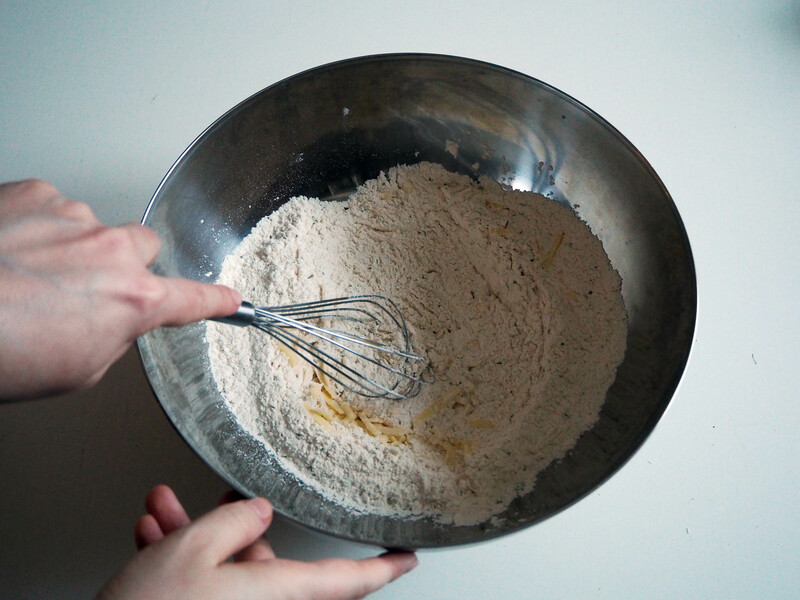 Whisk a little. 3. 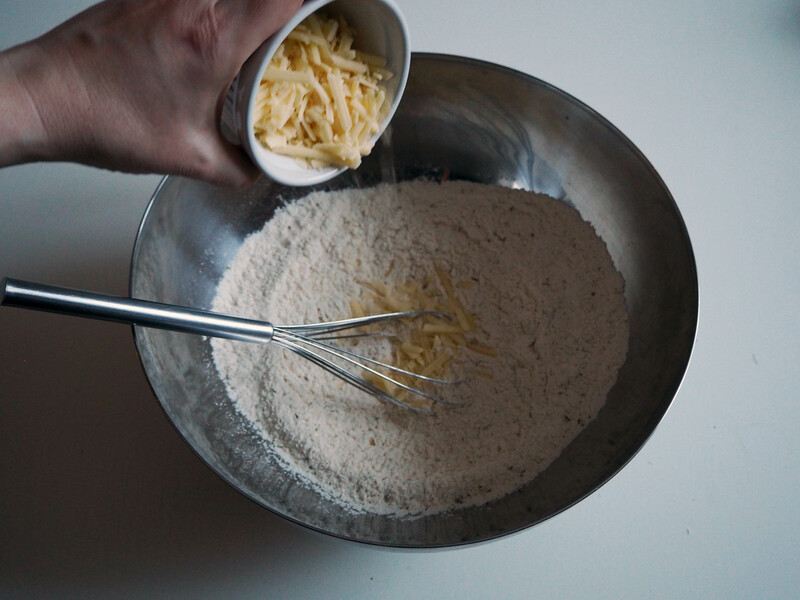 Add cheddar cheese and whisk. 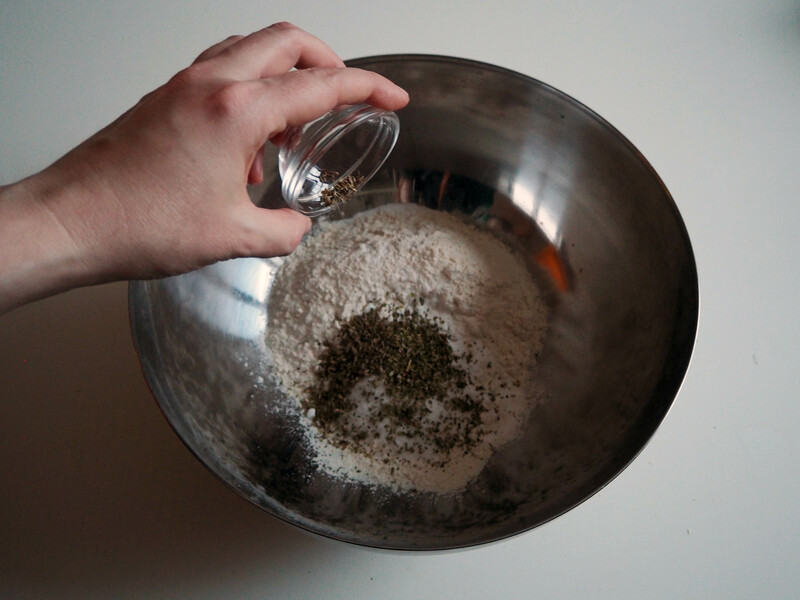 Add sun-dried tomatoes and whisk. (If you are using olives, add them at this stage too.) Put aside. 4. 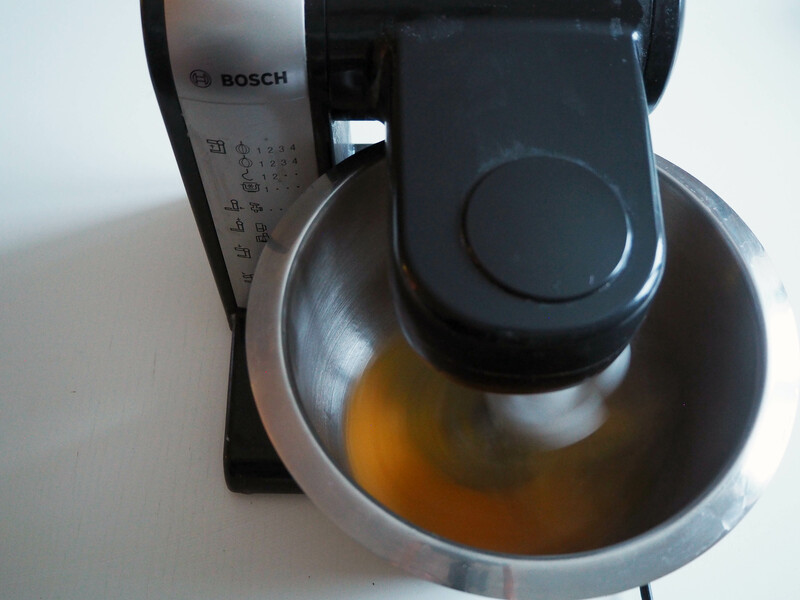 In the bowl of a standing or hand mixer, put eggs and whisk until fluffy. 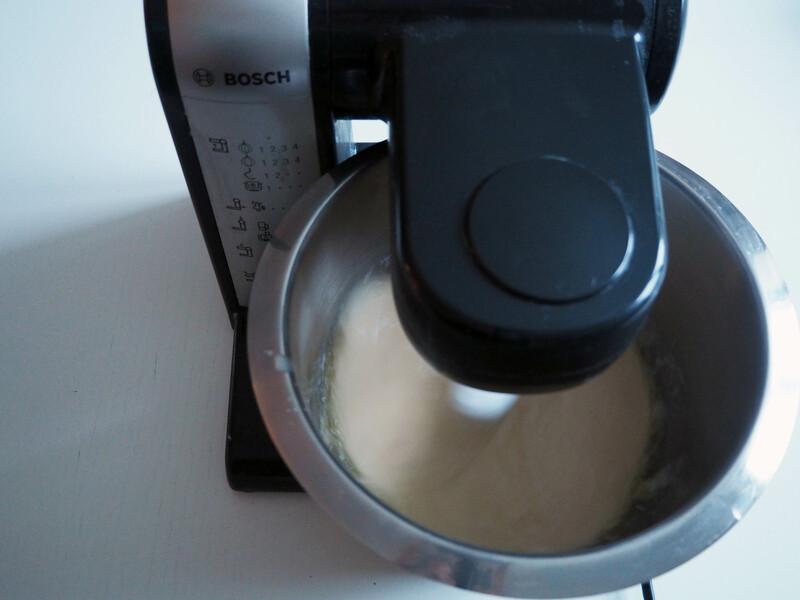 You can also perfectly make this by hand if you don’t have any kind of electric mixer. 5. 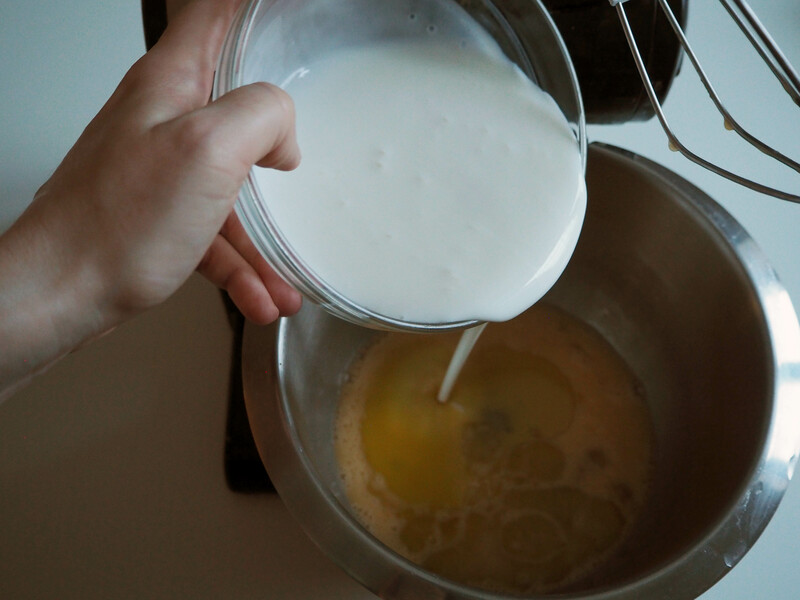 Add olive oil and buttermilk, whisk until you get a smooth mixture. 6. 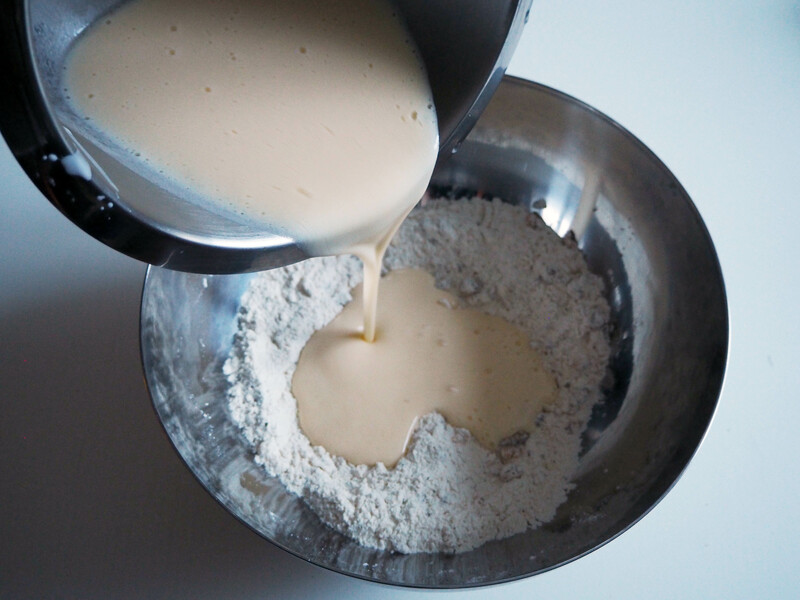 Pour the mixture on to the other ingredients and fold just until all the dry ingredients are mixed with wet ingredients. 7. 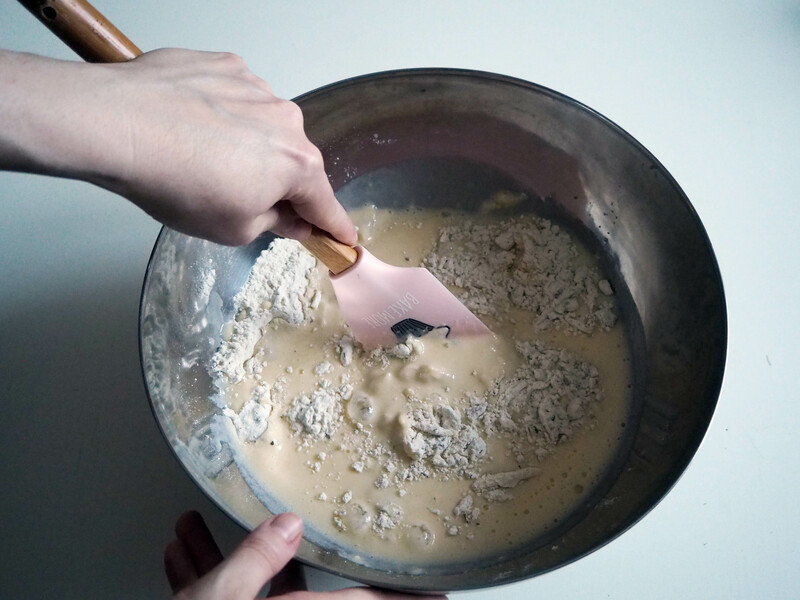 Pour the cake batter in prepared loaf pan. Bake in the middle rack of the oven for about 50 minutes, until a toothpick inserted in the middle comes out clean. After it is baked, wait for at least 15-20 minutes for the cake to cool down in the pan, and then take it out and let it cool a bit more before serving. Enjoy with a salad, or just by itself with some tea! 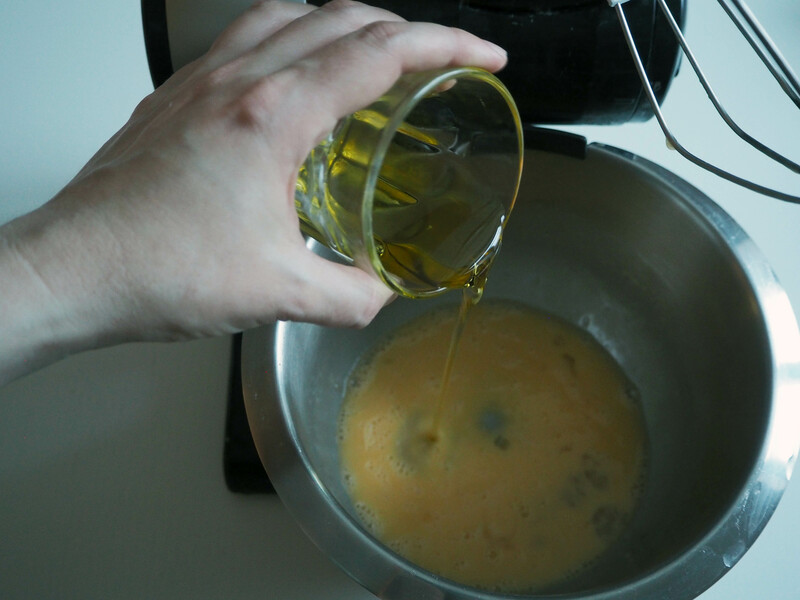 I would like to try your recipe without egg white just with egg yolks. Do you think it will work? Should I put one extra egg yolk? Hi Ceren! 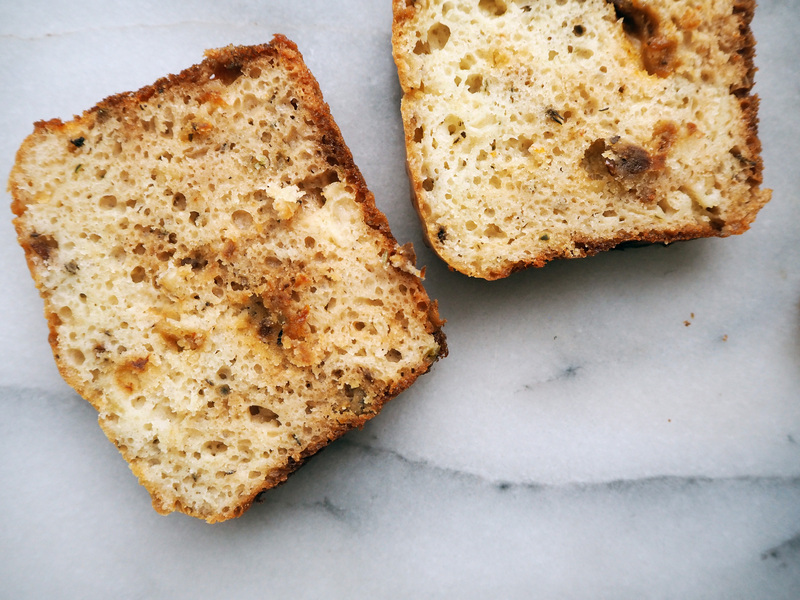 It might work with only egg yolks as this is more like a bread-ish cake. 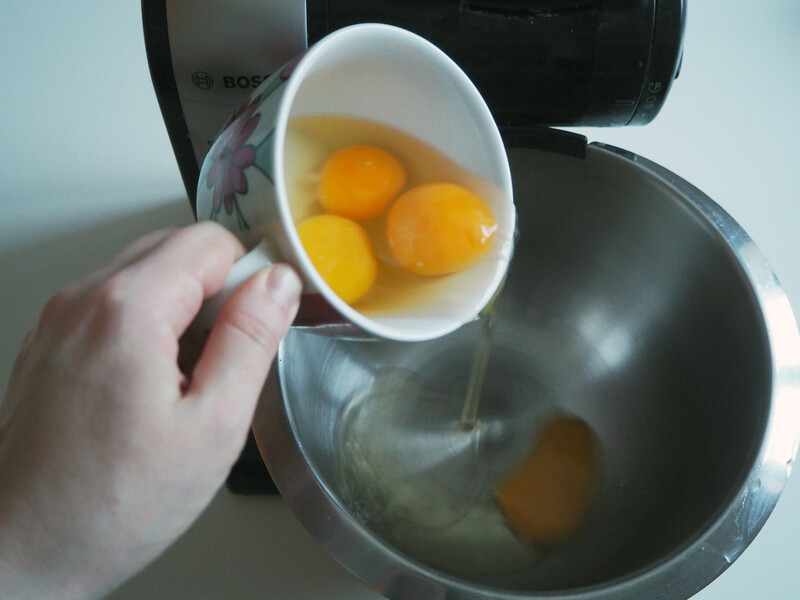 But adding one more yolk might make it a bit too dense and heavy so I would try it with the same amount.